Unused code will distract you(and other people) while reading code. Also, a single unused import can cause out of memory error. So, it is considered as a bad practice. 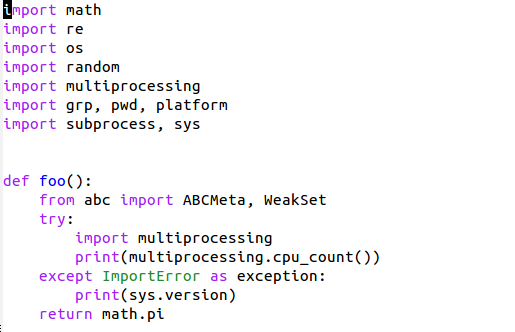 Lets try to get rid of unused imports & variables from Python code. It removes all unused imports & variables from the file. Instead of running this command every time, I wrote a simple elisp function and assigned a F8 key to that function. So while writing the code itself it can clean it & it's much efficient. Put the above code in your emacs configuration file, restart it & press F8 whenever you want to clean the code. However, if you just need to highlight but not delete them, you can install flymake and then enter this. 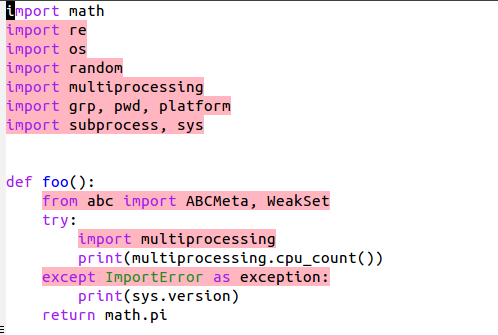 It just highlights the other syntax errors and unused imports but won't delete them.